Bring down the cost of your family holiday by taking advantage of this offer before it's too late. Use the handy free kid's finder tool, which will bring up all holiday dates that are offer a free child place for the time you want to go. You can then filter by destination, duration and departure airport to find the holiday that is perect for your family. Bag yourself a bargain holiday abroad whether it's a Beach, City or Cruise break for all the family or a romatic couples break. You'll find some amazing savings available when you book today at places including; Bulgaria, Menorca, Costa Brava, Ibiza, Greece, Egypt and Turkey. Where do I use my First Choice voucher code? Choose your flights, then choose seats, luggage, food & drink options that suit you best and click ‘Continue’. Fill in your passenger details before clicking ‘Continue’ to enter your payment details. "Booking your holiday late is the cheapest way to get a great deal. Try to book no more than 8-10 weeks before departure, that’s when the best bargains are to be had." "First Choice have a fantastic page for finding free kids places.Checkout their free child places feature here." "Make sure you peruse the deals section on First Choice. You can browse by holiday type, destination & time of year." 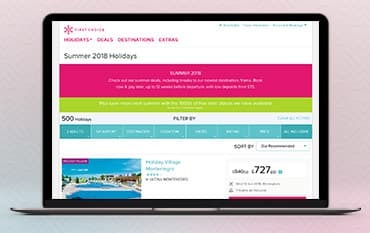 "First Choice have comprehensive extras section where you can pre-book and save on add-on products like carhire, travel insurance, airport lounges and travel money." "NHS employees can get a £25 discount." First Choice holidays cater for all types of traveller whether you're going as a couple, sunshine holidays for the kids or going on a singles holiday. You can even get married on a First Choice adult holiday. For the family though, it has to be a Holiday Village with their Splash World water parks, kids clubs, outdoor adventures and fantastic evening entertainment. Don’t worry if you’ve not booked yet as you can still find cheap last minute deals on offer even including late deals on family holidays for next week! If you’re looking for an even more luxurious holiday, browse First Choice’s Premier & TUI Magic Life holidays! Premier holidays are stylish 4 & 5-star hotels offering top-to-toe luxury, found in great settings with smart bedrooms and fantastic service. What’s more, Premier holidays have to have an above 90% rating by First Choice customers. TUI Magic Life offers added magic to your holiday with 24 hours all-inclusive, beachfront locations, sports programmes & first-rate entertainment. 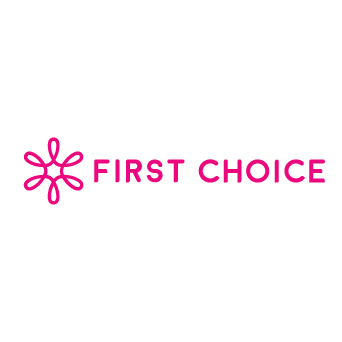 First Choice is the 1st choice for many a traveller when it comes to saving money on short-haul beach holidays like Spain, Portugal, Greece, Benidorm & popular Islands like the Canaries, Cyprus, Ibiza & Malta. Be sure to check out First Choice’s dedicated booking section for cheap late deals on last minute holidays. Combine these with voucher codes & low deposits to book yourself a fabulous holiday for summer or Winter holiday for 2019 with great savings! Whether you are an advocate for All Inclusive Holidays or it’s not something you have considered before, you can be sure that you are in good hands at firstchoice. First Choice specialise in all inclusive holidays and they do it so well that this is the only holiday option that they offer. There are many benefits associated with an all-inclusive holiday, such as easier budgeting, with flights, accommodation, transfers, meals, drinks, and snacks all being paid for upfront, it will be easier to budget your spending money for while you are there. Combine these benefits with the fantastic on-site offers, discounts, and promotions and you may well be pleasantly surprised at just how great a deal you can find. For an even bigger saving use a First Choice discount code during the booking process and bag yourself a bargain! With a huge range of popular destinations available for all-inclusive breaks for a family holiday, couples holiday or luxury honeymoons alike, it's no wonder they're 1st choice for thousands of happy holidaymakers. Book next years holiday with a First Choice 2019 discount code and benefit from low deposits, the best resorts and get plenty of time to pay for your holiday. More and more families are choosing to book their holidays at a holiday village or First Choice splash world. The range of facilities and activities on offer makes them a cut above your average family hotel. With kids clubs and activities available for tots through to teens, no one in your party will be stuck for something to do. The kid's clubs run throughout the day and even into the evening, so while your little ones are having a ball with the friendly club leaders and the new friends they will have made, you can relax by the pool or even enjoy a few treatments in the spa. The choice of holiday villages is growing with breaks now available in Cyprus, Rhodes, Kos, Tenerife, Portugal, Majorca, Turkey, Menorca, Ibiza and Costa Del Sol. One of the great things about booking a family holiday with First Choice is that they often have free child places available. With a free child place, one child in each party can get their flights, accommodation, transfers, food and drink completely free of charge, making a big difference to the overall cost of your holiday and is a great help for those who have more than the average 2.4 children in their family. 1st Choice now has a fantastic tool available for families that will show you all the free child places available on holidays from your chosen departure airport, for your party size in the month you want to fly. You can then filter these results to specific dates or destinations. Remember the fewer filters you use, the bigger the list of bargain holidays available will be. What is the baggage allowance for first choice? First Choice provide a varied check-in luggage allowance of 15k g- 23 kg, depending on which holiday you book. When booking your flight online you’ll be shown exactly what luggage allowance you’re permitted to with your holiday. Whether you’re booking a flight only deal or a package holiday you’ll gain access to a luggage allowance between these two weights, as well as a hand luggage allowance of 5kg. Click here for more information on luggage allowance, dimensions, excess baggage charges and much more. Can I Check-in Online with First Choice? To check-in, make payments, amendments to your booking, add extras and much more, simply use the Account & Booking category on the First choice homepage and select 'View/Edit Booking'. Here, you can check-in online up to 14 days before your outward flight. You will need to either sign in or use your departure date, booking reference and lead passengers name to access your booking. Here you have the option to select your seats or add any extras including flight meals. You can print your boarding passes or have them delivered to your phone. Checking in online can save you time on the day of departure and is a quick and easy way to get organised before your holiday. What happens if my flights are delayed or cancelled? To find out if your flight has been delayed or cancelled, you can check the most up-to-date information on the First Choice Flight Departures page. If they have been delayed, you will still need to check in at the same time as you normally would (2-3 hours before departing). If your flight has been cancelled or delayed for at least 2 hours, you can speak to a staff member at the check-in desk or boarding gate to seek information on compensation or assistance. If your flight is cancelled prior to your departure date, you will be issued information regarding this via email or your postal address. You can also contact the customer service team for further assistance. Can I make any changes to my booking? you can make amendments to your booking using the online View/Edit Booking Page, however, charges may incur for any significant alterations including cancellations. For more Contact Information, visit Contact Us. First Choice is a leading UK travel company that offers quality all-inclusive holidays at affordable prices. First Choice provide holidays around the world including long-haul destinations such as Mexico, Florida, Caribbean & Thailand. Long-haul holidays can stretch your budget, however, with First Choice Discount Codes you can reduce the cost & save money to keep your travel plans for 2019 affordable. So check-out our codes below and make First Choice your 1st Choice for your next holiday booking! We are constantly on the hunt for Discount Codes for First Choice to help you with your money saving. Our experts check dozens of sites for secret codes including NHS discounts, student sites & social media channels saving you time & money!